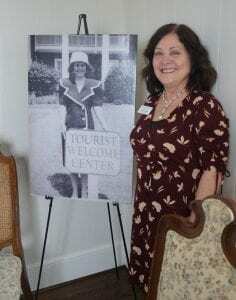 ELLIJAY, Ga – Despite numerous weather and climate hurdles including a cold evening sharpened by winds and rain at times, the Downtown Ellijay Business and Community Association (DEBACA) is reporting a very successful year. With some changes like the absence of the town of Bethlehem that First Baptist Church hosted at last year’s event and added security measures, this year’s event was noticeably different than 2017. 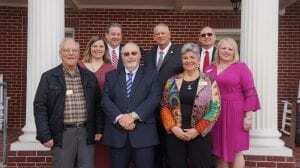 Changes that both DEBACA Chairman Steve Cortes and Ellijay Police Chief Edward Lacey praise as improvements to the event. 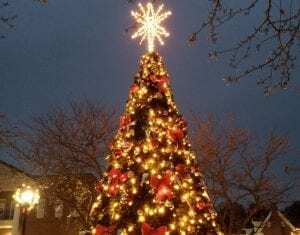 One major safety improvement that both parties noted separately was barricades set up to block the parking spaces on the roundabout, allowing pedestrians to safely view both the tree lighting and parade apart from traffic and parade vehicles. While these barricades have been used for the majority of 2018, this is the first Light-Up Ellijay event they have been used. The major difference being that this parade is largely held in the dark with lights on the float and the town decorations illuminating the area. Chief Lacey noted this year’s event went “very smooth” as they conducted safety and traffic control with six on-duty officers. He also reported no traffic issues during the event and the after-event surge. The parade hosted around 35 different groups, according to Cortes, and just under 20 vendors in the temporary market throughout the day. Though he says DEBACA did scale back on certain things, the event still pulled in one of the best business days for downtown merchants despite the tree-lighting ceremony being interrupted with a 5-minute rain shower and a continuing sprinkling of rain until the parade. 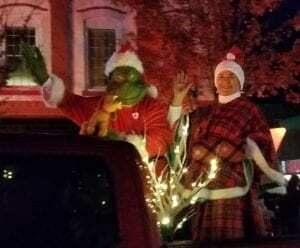 Along the lines of balancing Light-Up Ellijay between a tourism event and a local event, Cortes told FYN that despite cancelling the Whoville earlier in November, there are still plans to return to it in coming years. 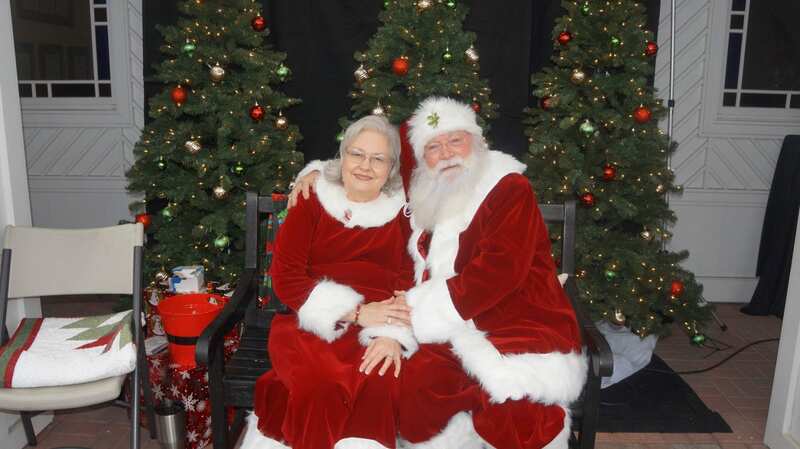 However, he did add that DEBACA has been considering multiple options including hosting Whoville in partnership with another organization with available manpower to host the event on a separate day from Light-Up Ellijay and more cosplay actors to enlarge it on its own. With possibilities for the future of Light-Up Ellijay being discussed, Cortes also noted the he, personally, thinks that the events success could continue into next year by adding to the parade size and seeking opportunities for the marching band or live-music of some sort. Citizens, law-enforcement, and business owners all seem to agree that Light-Up Ellijay was indicative of continuing a bright future for Ellijay’s Downtown Events. Make sure to check out FYN’s Facebook Photo Album for more pictures from the event as well as the Facebook page for videos that we streamed live from Light-Up Ellijay. ELLIJAY, Ga. – Most of the time, when you meet a police officer, it really isn’t a pleasant experience. It has nothing to do with the people, and everything to do with their job. You may meet them when you’re getting a ticket because you were in a big hurry and may have gone a bit over the limit, or maybe you called because you were robbed and need help, you may have even called to report a wreck and need to give your statement. In any case, the vast majority of the time, police respond to bad situations, it’s really part of the job description. This year the Ellijay Police Foundation, a non-profit organization supporting the police force, hosted a night in an effort to change that. 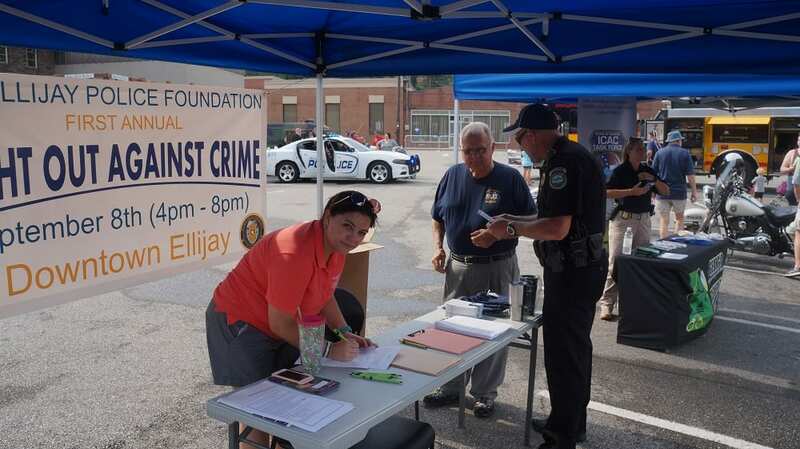 The National Night Out is a nation-wide community-building event that supports officers and organizations across America, but as Ellijay’s original plan for the date of the event in early August, the rain forced a reschedule. This weekend, the Ellijay Police Foundation made good on that promise by hosting the event Saturday between 4 and 8 p.m. 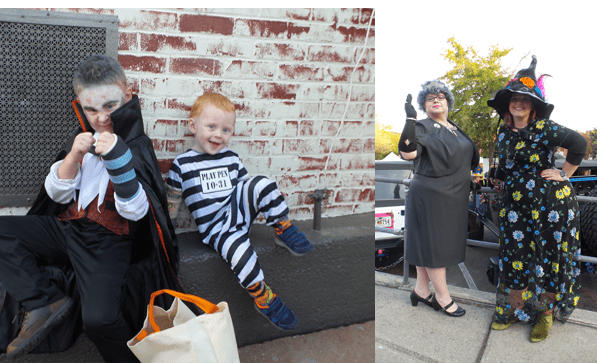 The event saw many of Ellijay’s Officer’s hosting or dropping by to say hello to citizens and share their time to allow the people to speak with them, play with them, and eat with them, all free of charge. With music flowing across North Main Street and into the parking lot next to First Baptist Church, the Ellijay Police Department partnered with the Ellijay Fire Department, the Gilmer Sheriff’s Office, The Georgia Bureau of Investigation’s ICAC (Internet Crimes Against Children) Task Force, and its sponsors to set up the police motorcycles, police cruisers, the fire truck, a hummer, and a sheriff’s cruiser for citizens to view, sit in, play with, and climb through. Kids and parents alike were allowed to set off the sirens and lights and try on the equipment that these men and women wear every day. There was also a golf cart with a driving course and the standard test that citizens could go through while wearing “drunk goggles” simulating inebriation. Pilgrim’s of Ellijay donated chicken and hot dogs for grilling along with the manpower and the grill to cook for the event. Country Corner Kitchen and Coca-Cola donated a trailer and people to hand out cold drinks. North Georgia Party Rentals donated a bounce house and a dunk tank to help celebrate as well. That dunk tank saw major attention from citizens as officers climbed in. For a one dollar donation, a person could take three shots at the target to dunk the officer in the tank. A surprise arose as a donation came from the department’s own Chief Edward Lacey to dunk one of his officers. What many citizens didn’t hear at first was that Lacey had jokingly called it “insurance” as he would be in the tank himself later in the day. His “insurance” was response to a few people that had managed to run up and hit the button by hand instead of throwing a ball at the dunk tank. The terms were that no one was allowed to hit the button by hand unless they beat his own donation. The protection was short-lived, however, as his officers found a “generous donor” that offered $100 to allow two officers to hit the button together to drop the Chief by hand. 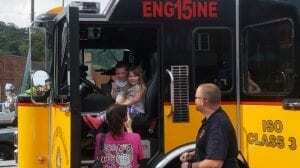 The event came in partnership as the brain-child of Chief Edward Lacey and hosted by the Ellijay Police Foundation. The foundation’s purpose is to build and foster community with the police as well as gathering funds and donations to provide more training to these officers. Lacey has since reported that over $500 was raised by the dunk tank in support of these efforts. 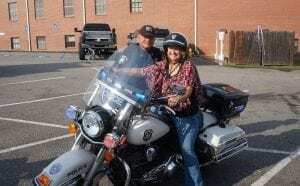 According to Detective Colburn of the Ellijay Police Department, this is set to become an annual event for the Ellijay Police Department, though it will likely return to its original August date next year as the rain delay pushed it back to September this year. Check out more photos from the event with our Album on FYN’s Facebook. 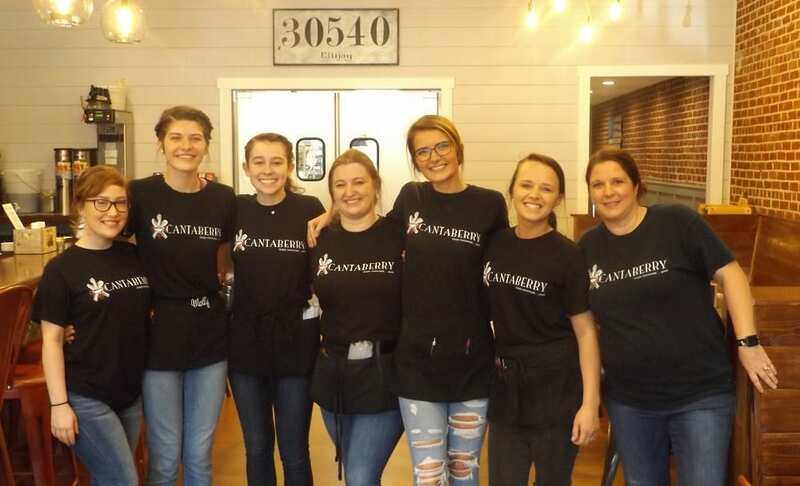 ELLIJAY, GA. – After years on River Street, citizens are waking up today to see the Cantaberry Restaraunt in a new location. Though not that far from the old location, the restaurant’s new spot boasts many upgrades for the business include almost doubling their seating and expanding the outdoor tables onto a shaded deck. The new location is on the southern corner of the downtown roundabout next door to the Blue Ridge Olive Oil Company. According to Manager Jessica Bruner, the site can hold just under 100 people and are already planning on live music events and similar activities for the outdoor area. 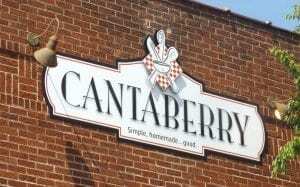 Bruner did say the Cantaberry will be looking to expand their staff as they gauge the community response to the new site. The staff is taking the “new” brand to extremes as Bruner said they bought all new equipment, barely bringing anything from the old location. Additionally, they will be adding a dinner and brunch menu in the coming weeks as well as beverages from local brewers Grumpy Old Men and local winery Chateau Meichtry as well as Merciers Orchard’s Hard Cider and Georgia’s SweetWater Brewing Co. Though Bruner said they could be looking into other options including other local wineries, she didn’t detail any other plans in store for the upgrade. The special day kicked off with their opening at 11:00 a.m. today hosting the first two tables. Ann and Bob visited from Young Harris as the first seated guests in the new location. The second set of guests through the door were Katrina and Jesse, the first official Ellijay residents to visit. 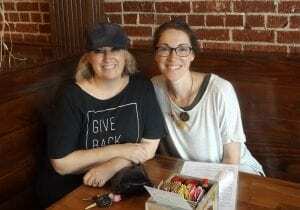 Katrina and Jesse, l to r, were the second table, but the first local citizens from Ellijay visiting the new Cantaberry location. 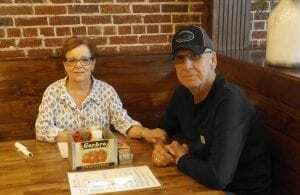 Ann and Bob, l to r, were the first seated table of Ellijay’s new location for the Cantaberry Restaurant, visiting from Young Harris. ELLIJAY, Ga. – Disputes arose in Ellijay this week during a meeting of the Ellijay City Council over a variance request at 50 Depot Street. Could this variance bring trains to Ellijay? The council discussed the request from Michael Duke, owner of the business at 50 Depot Street. However, Duke does not own the land on which his building sits. This detail was the core of the debate as Duke leases the land from the well-known CSX Railroad company. In order to purchase the land, Duke needed the variance request approved. Many arose in opposition of the request as nearly 45 to 50 people attended the meeting with the vast majority there for the variance request. Fifty Depot Street is behind Southern Customs on River Street and in front of the Cajun Depot Grill, also on Depot Street. With hopes to see railroad tourism similar to that of Blue Ridge, Duke is looking to possibly move in that direction in the future. This became the main focus of discussion by those in attendance. Stating the loss of parking would be detrimental to his business to the point of shutting down, Haynes asked the council to deny the request. He was not the only opposition. However, two others spoke saying they loved the idea and wanted to support the project in a different location. Mike Kirkpatrick and Pamela Thomas Jones both called the project an amazing idea, but for somewhere else. Kirkpatrick told the council he owned lots on Depot Street and wanted them to deny the request due to it being “ill-conceived” in planning for parking and traffic concerns. Kirkpatrick went on to say that though he wants success for the city and for this project, the council should consider the problems and undue stress they would be putting on local business owners from the congestion such a business would cause. Pamela Thomas Jones spoke on behalf of her father, Bob Thomas, who owns the property where Southern Customs sits. 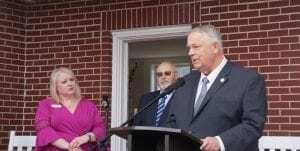 Jones also echoed the sentiments of the project being a great idea. However, she fervently requested the council not to approve the variance in the meeting. While she did not outright ask for denial, Jones instead plead for the council to look further and deeper at the issue by performing studies and investigations into the effect the business would have on the area. Based on the need for requirements to approve a variance request, Jones quoted the city’s own ordinance in the meeting while saying that the city needed to understand there are already parking issues in the area as discussed in their meeting from the other speakers. Ellijay Mayor Al Hoyle put the discussion to the agenda item saying that the issue at hand was a variance of minimum lot size. Despite the conversation of the project and the future of the business, Hoyle stated that they were there to discuss minimum lot size. Throughout the discussion, it became clear Duke owns the building and leases the property. The topic at hand allowed him to purchase the property from CSX Railroad, but it appears that much of the business decisions would not necessarily be stopped by denying the request. Regardless, the council officially, and unanimously, approved the request. Despite some concerns from the council as to what could have been done earlier in the process for mediation they did allow the variance with the lot being locked in position and unable to increase lot size through additional tracts. So, with the approval, the owner of the building can also become the owner of the property under the building. Some in opposition to the request walked out of the meeting as soon as the vote finalized. 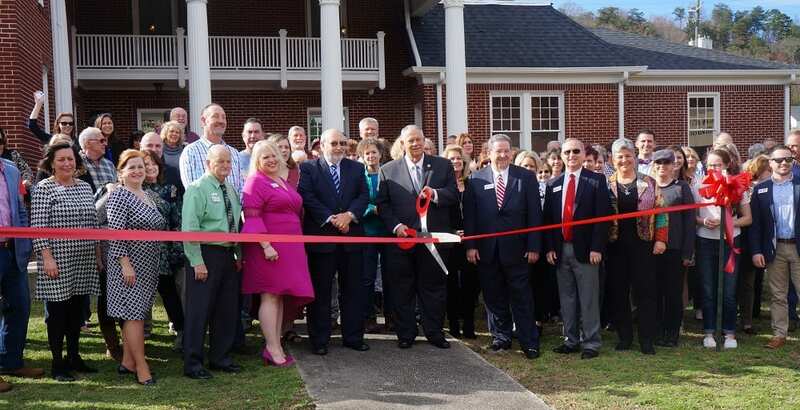 After this, Ellijay can look to the area for changes in the near future. Duke told the council during the meeting that the Blue Ridge line is already set to send some of their engines to Tate, via Ellijay, for repairs and maintenance. However, if Duke follows through with the plans mentioned in the meeting, citizens of Ellijay may see more trains on our tracks sooner than we think. 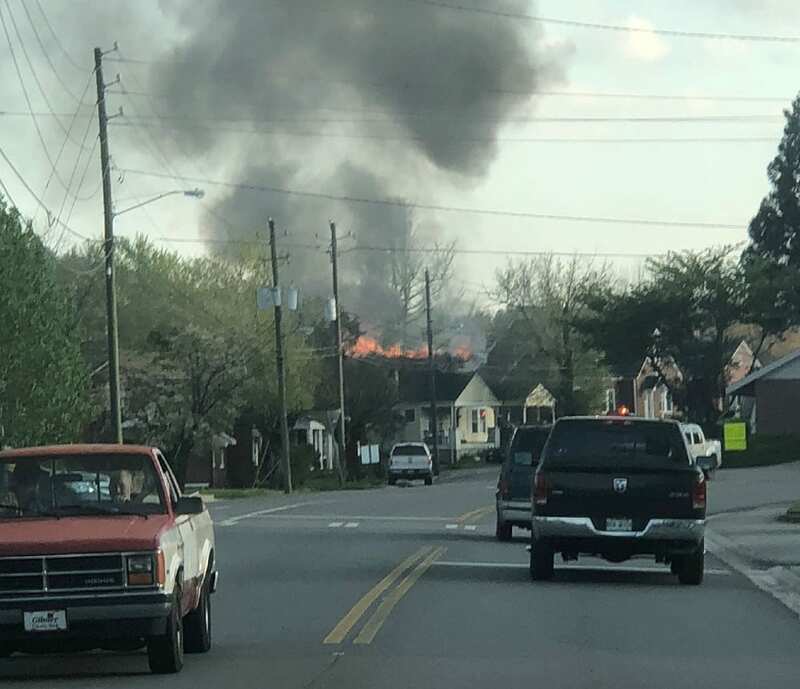 ELLIJAY, Ga. – A house on North Avenue fell victim to an electrical fire just before 7 p.m. on Friday night, April 13, according to Ellijay Fire Chief Sam West. The damage to the house as seen on the following day after the fire. As fire units responded to the blaze, officials said they had the blaze contained and dying inside of 30 minutes. However, authorities remained on scene into the night monitoring the site and digging through debris for “hot spots.” West said a standard investigation concluded the cause to be an electrical issue. No one was injured in the fire, and West has confirmed with FetchYourNews that no adjacent buildings were damaged in the fire or the emergency response. The main house, however, suffered extreme damage as most of the roof burned away and the rest of the house suffered smoke and water damage during the incident. Chief West stated that they received the call to respond to the fire at 6:50 p.m. and had North Avenue closed almost the entire time units were on scene, until just before 11 p.m. that night.